The Portuguese coach was in London on Monday to complete the formalities of a second stint in charge of the west London club after his exit from Real Madrid was confirmed, penning a four-year deal. Mourinho led Chelsea to successive Barclays Premier League titles in 2005 and 2006 - not to mention the FA Cup and League Cup twice. But he said on Chelsea TV: "I am not coming here to sleep on what I did in the past and be comfortable just because we have a great feeling and we have a great relation, I am not that kind of person and professional, I am very demanding of myself, I need of course their (fans) support, but I want to start from ground zero." He added: "I need to work hard again and build a different team from the team I built in the past, and I want to give everything I can to the club, to the owner and to the fans, forgetting a little bit that I was champion here. "I want to have that pressure on myself like it is the first time I am here and I have to work hard and to make sure they have a reason to be happy with me. "I am the same, physically the same, but every day you have to think about yourself and about evolution. "I have the same nature, but I am much more mature with a different approach to things, I am more ready to be in a club and stay for a long time." 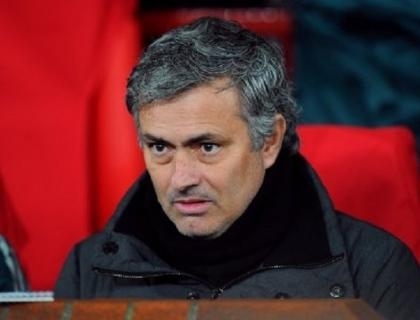 Mourinho feels he is coming back to Stamford Bridge as much a fan as he is the club's eighth manager since he left. "I think of myself not only as a Chelsea manager, because this is the first time in my career that I've arrived at a club that I already love," he said. "To be at the same time a Chelsea fan and a Chelsea manager is a new feeling for me and it's a fantastic feeling."